The IwB’s first major project was Massive Change: The Future of Global Design, which examined the role of design in addressing social, environmental and economic issues. Massive Change spurred conversations across Canada and internationally. As part of the project, the IwB, working with Bruce Mau Design, completed a Massive Change exhibition, a student product line, website, radio show and a book that was published by Phaidon. Massive Change was about showing the potential of design to leverage positive change for the future. 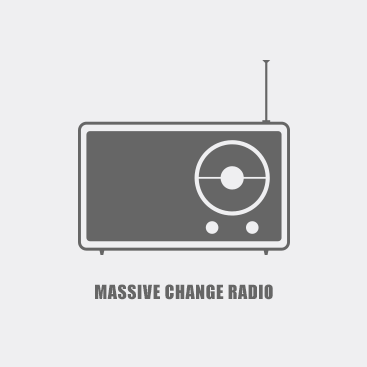 Click for transcripts of interview for Massive Change Radio via Jennifer Leonard. 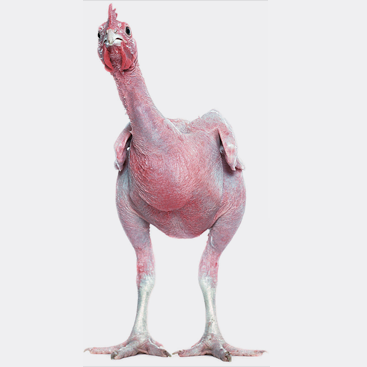 Highlights from the exhibit included Adi Nes’ featherless chicken, whose baldness would conserve energy from plucking machines and reduce waste. Over the last decades, design has begun taking on a more active role in shaping our world. Design conferences, interdisciplinary centres, and academic institutions have started to investigate the benefits of design theory and practice in solving the ‘wicked problems’ that face our world. The Institute without Boundaries has been at the forefront of these developments. The IwB’s first major project, Massive Change: The Future of Global Design, examined the role of design in addressing social, environmental and economic issues. The project took place in the IwB’s inaugural year, and was started in partnership with Bruce Mau Design (BMD). In many ways, Massive Change was a revival of design theories from the 1960s, which stress the social benefits of design practice and the importance of hands-on design education. In 2003, there were few programs in Toronto that taught students design thinking and/or strategy in a hands-on format. Bruce Mau was already globally known for being a leader in design innovation and the School of Design at George Brown College had long been a thriving environment for education in the arts and design. Together, the School of Design and BMD decided to launch a program and design studio where students and experts could meet on an equal playing field and tackle real world problems together. Massive Change was their first project together. In 2003, in collaboration with the BMD Studio, the IwB was commissioned by the Vancouver Art Gallery to create an exhibition and publication. Over two years, 14 students at the IwB researched, wrote, and designed the Massive Change exhibition, website, radio show and book. In 2004, Massive Change premiered at the Vancouver Art Gallery with a 20,000 square foot exhibition. 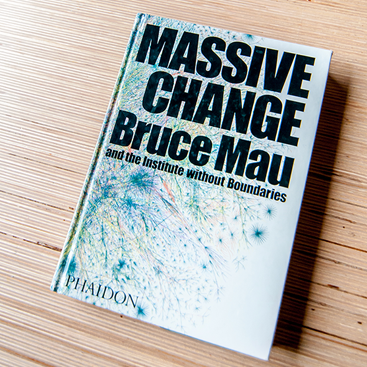 The same year, Phaidon published the Massive Change book, co-authored by Bruce Mau, IwB students, and Jennifer Leonard, and the student-designed Massive Change product line was launched by Umbra. In 2005, graduates of the Institute collaborated with the School of Design at George Brown College to build the Massive Change in Action website for the Virtual Museum of Canada. The Massive Change exhibit also travelled to the Art Gallery of Ontario in Toronto and the Chicago Museum of Contemporary Art and was seen by over 300,000 people by the end of its run. The success of Massive Change sparked conversations on the potential of design to leverage positive change for the future. It also solidified the need for a permanent interdisciplinary institute that could develop and leverage design methods and practice to wicked problems affecting urban areas globally.